From the Ballymena area? Are you looking for work? Fancy a change in career? Interested in up-skilling? Have you ever considered self-employment? Then our Job Fair on Thursday 15th February 10.30am – 3.30pm in the Tullyglass House Hotel, Ballymena is the place for you to be. 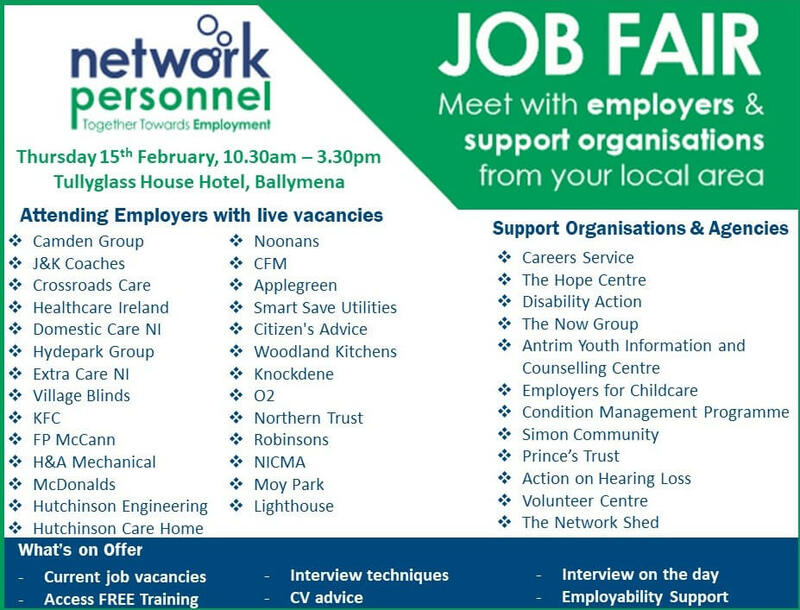 This is an ideal opportunity to meet with a range of employers with current vacancies and support organisations from the Ballymena area. 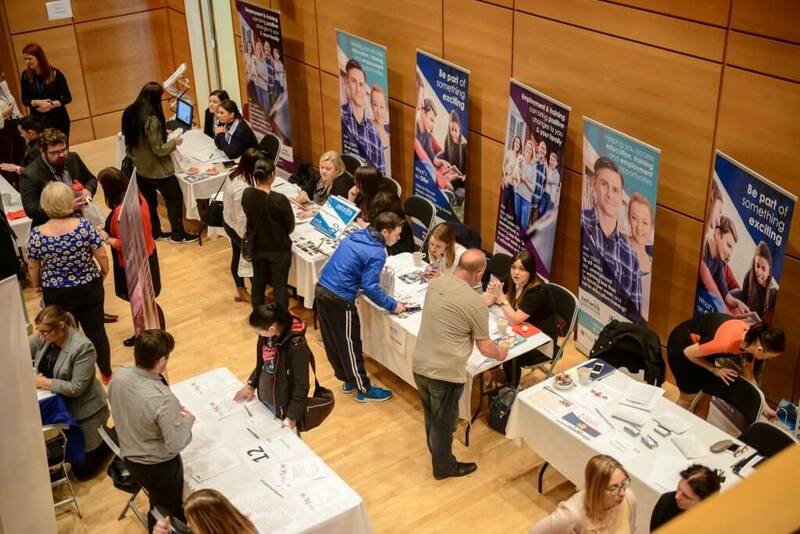 40 employers, support organisations and agencies will be exhibiting on the day. Our Job Fair will provide a brilliant opportunity to speak with employers to find out what they are looking for from applicants. Our expert staff will also be available on the day to offer advice on how to create a first class CV, details on what free training we currently have on offer, how to successfully fill out applications and best practice for interview skills.